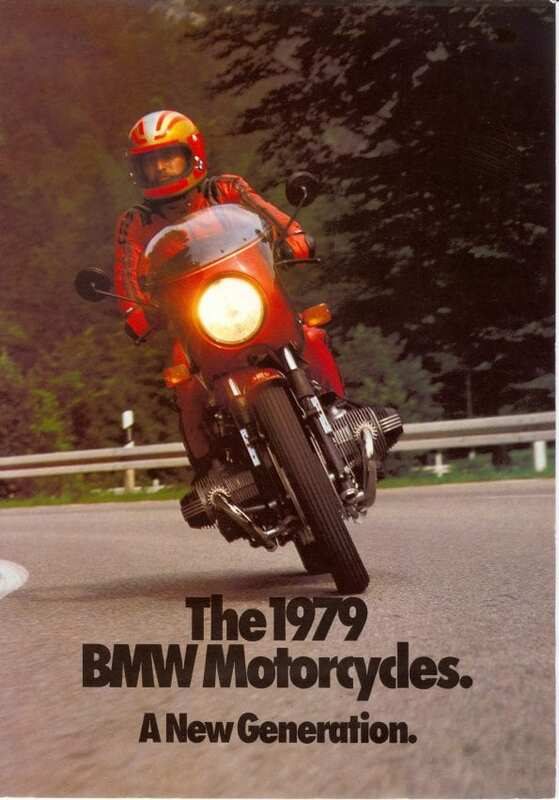 The /7 Series began in 1976, initially with bikes in 600cc, 750cc and 1000cc capacities; the R75/7 became the 800cc R80/7 in 1977. 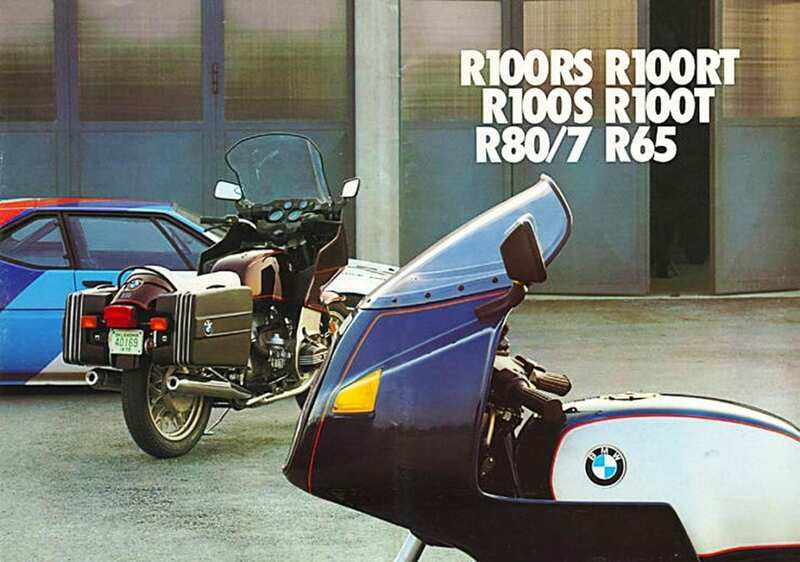 The R100s were initially available as the naked R100/7, bikini faired R100S and full faired R100RS. 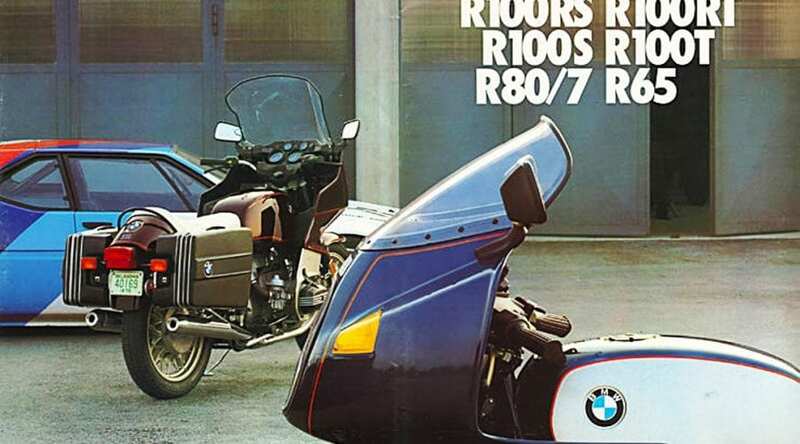 The fully faired but more upright R100RT and R100T (no fairing, higher bars) arrived in 1978. 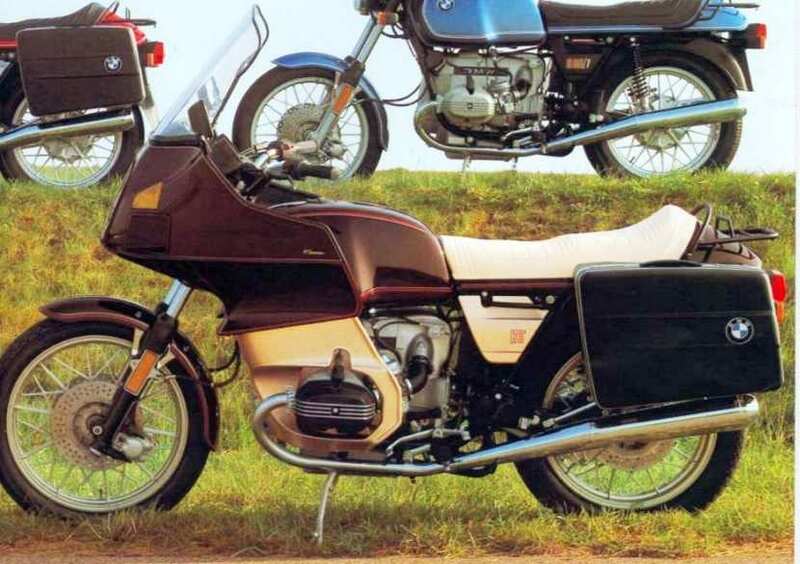 A version of the R80/7 was produced with the RT fairing for police use. All the bikes shared the same frame and cycle parts apart from different models receiving spoked or cast wheels and single or twin front discs. They’re all the same wheelbase, length, width and so on, with variations in weight due to the fitment of fairings and luggage. All the models also share the same bottom end and gearbox, with the different capacities coming from larger bores on the same stroke crankshaft. 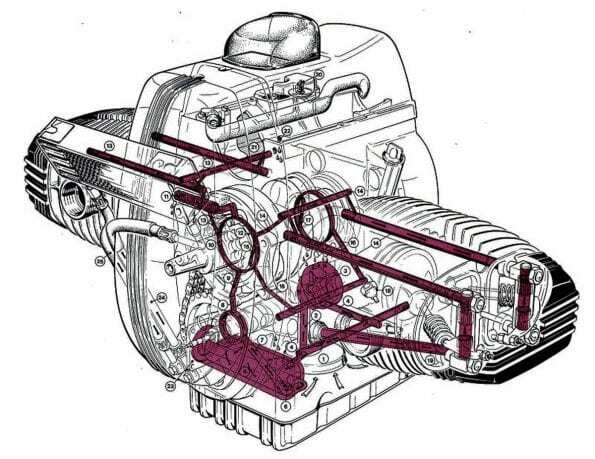 Cylinder heads, compression ratios, cams and carburettors vary between different models, as does final drive gearing. 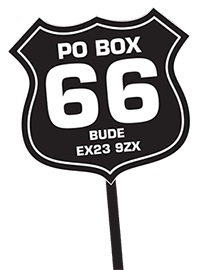 Different models of the same capacity were available with different power outputs; there was a lower power R80 for police use and the R100RS was the most powerful of the 1000cc bikes. 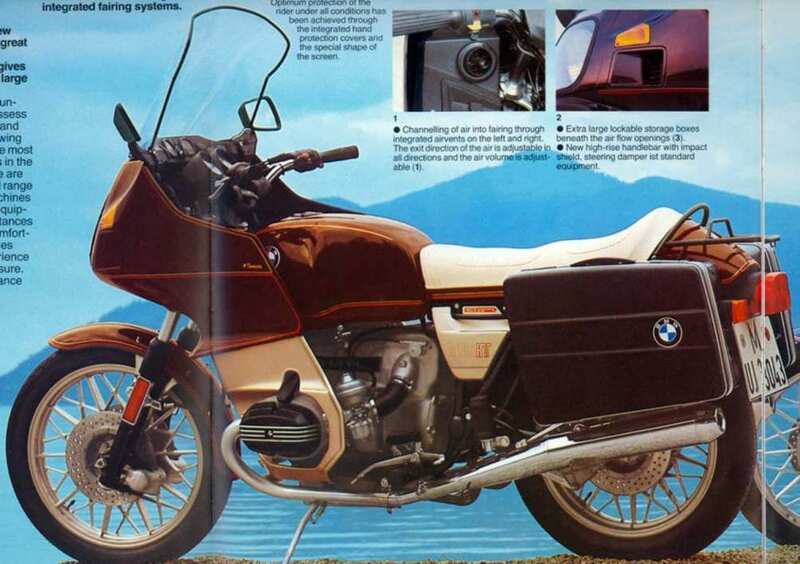 Later models (approximately 1980 to 1984) got a lighter flywheel and electronic ignition, and the R100S became the R100CS. Some feel that ‘peak airhead’ was achieved with the last of the heavy flywheel models, others are convinced that the first of the light flywheel modes are the optimum design. 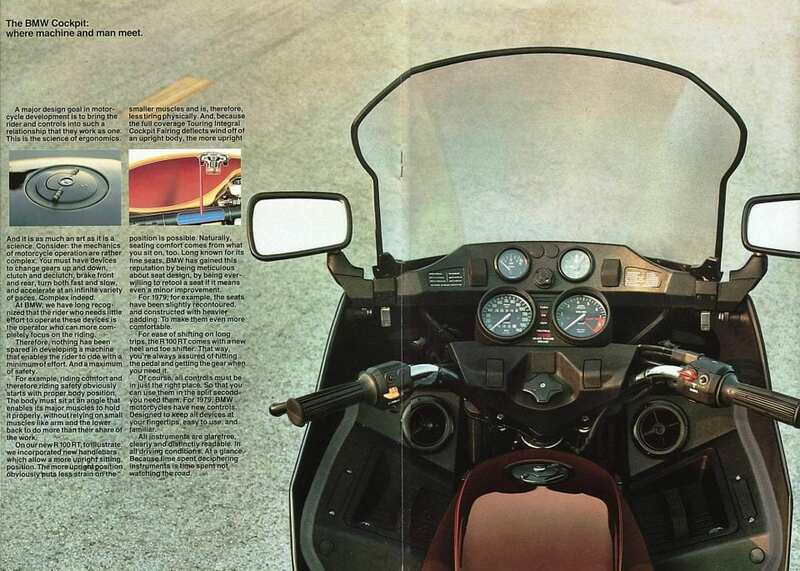 Quality control is said to have dipped on 1979 and later models as news of the development of the K Series inline fours and thus the demise of the boxer models filtered through to the factory. Parts interchangeability between the twin-shock airheads is generally very good, allowing upgrades to be cheaply made with used parts, although it’s worth knowing that the R45, R65 and monoshock R80 and R100 models use completely different frames, wheels, etc. 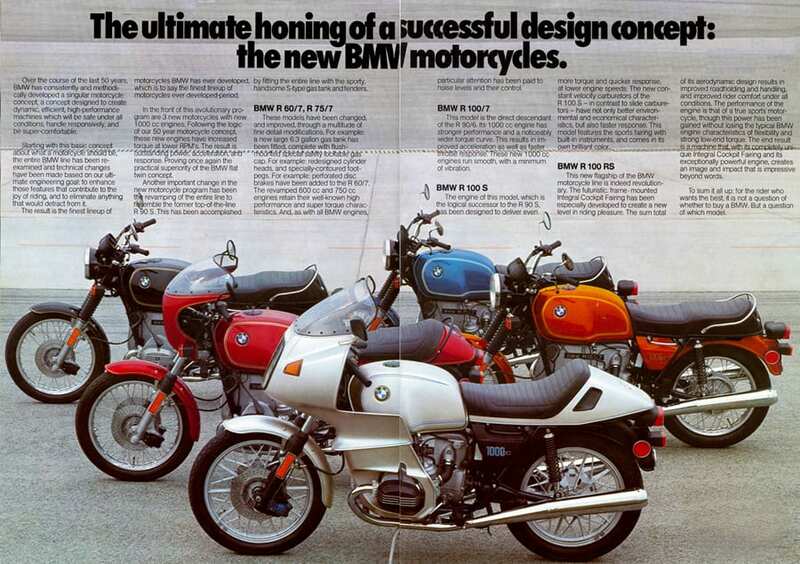 The best range of classic motorbikes ever. Good looking, comfortable (except the RS), powerful at low revs and a lovely characterful drive. Handling was far better than you’d think.